On this page you will find Ben10 Games to play online for free. Choose the Ben10 game that you want to play from the list below. 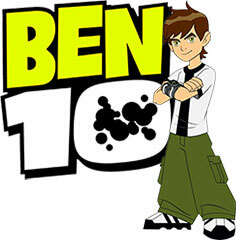 You can also find Ben10 games for kids to play and have fun. BOOKMARK THIS PAGE NOW so you can easily find our site next time you want to play ben10games online. Welcome to our Ben 10 Games section on Heroes Arcade. Here you will find the best Ben 10 Games, Ben 10 Alien Force Games, Ben 10 ULTIMATE ALIEN Games and Ben 10 Omniverse Games. If you search for a website on the internet to play free Ben 10 Games for Kids then you are in the right place. All Ben 10 games from HeroesArcade.com are free to play online forever. We have gathered from the internet the coolest Ben10 games for you to play and share with your friends on Facebook. Ben Tennyson is the most popular hero on Cartoon Network and all Ben 10 online games are played by thousands of kids from around the world everyday. For all Ben 10 fans we will make a list of the most popular Ben ten games that we have on this site. Some of the best Ben 10 Ultimate Alien Games are Ben 10 Ultimate Crisis and Galactic Challenge game. In Ben10 Ultimate Crisis game you have to fight with hundreds of minions sent by the evil Aggregor. With the help of the Ultimatrix watch, Ben Tennyson transforms himself into Ultimate Swampfire. With the powerful weapons of Ultimate Swampfire you will fight against Aggregor and his neverending army of minions. Defeat Aggregor and save the world from villains. Ben 10 Ultimate Crisis is also the first 3D online game from the series Ben10 Ultimate Alien Games. Ben 10 Galactic Challenge game is also a great Ben ten ultimate alien game. This is in fact a collection of games with Ben 10 Aliens such as: Swampfire, Ultimate Big Chill, Humungousaur, Ultimate Cannobolt, Jetray, Ultimate Echo Echo, Spidermonkey, Brainstorm and Waterhazard. Play with your favorite Ben10 alien and finish each game for a Ben 10 Ultimate Challenge. Ben 10 Alien Force Games are also very popular. Kids like to play Ben10 Alien Games such as: Ben 10 Alien Force Game Creator, Vilgax Crash, Forever Defense, Ben 10 Action Packs, Hero Hoops and more. Ben 10 Game Creator is popular among small children because it has new Ben 10 games everyday. You can play ben ten alien games made by other players like you from around the globe. Choose your favorite ben ten aliens and play games all day long. Ben 10 Online Games are a great way to spend some quality time online and also help you not be stressed after a difficult day at school or work. On HeroesArcade.com we have many Cartoon Network games Ben 10, Ben 10 coloring games, Ben 10 Puzzle Games, Ben 10 Moto games, Ben 10 Alien Swarm games and other types of free Ben 10 games for kids and adults. In the future we may also add ben 10 coloring pages for kids to download for free. All Cartoon Network Ben 10 games are very well done, the game graphics and the game play are top quality. If you have a game console like Playstation 2,3 or Xbox 360 at home you can play Ben 10 Video Games like: Ben 10 Protector of Earth, Ben 10 Alien Force Vilgax Attacks and Ben 10 Ultimate Alien Cosmic Destruction. If you don\'t have one don\'t be sad because you can still enjoy for free Ben 10 games online at HeroesArcade.com. Like a real Ben 10 fan, you already know all Ben 10 Characters, Ben Tennyson\'s friends (Kevin Levin and Gwen Tennyson), you may have a Ben 10 Omnitrix watch, some Ben 10 figures or even a Ben 10 costume. All these can make you a TV superstar if you are between 7 and 11 years and are interested in Ben 10 Ultimate Challenge. Ben 10 Ultimate Challenge is a TV game show produced in UK that will have 120 episodes. All content in the new game-show will be inspired by the three Cartoon Network produced animation series: Ben 10, Ben 10 Alien Force and Ben 10 Ultimate Alien.